If you haven’t been on Twitter recently or aren’t big into investing, you might be in the dark on cryptocurrency. Don’t panic. There’s a great deal of us who are also in the same boat. Marketing Futurists, speakers, and authors Travis Wright and Joel Comm got together earlier this year to discuss the burgeoning world of crypto and the implications it has for all of us. 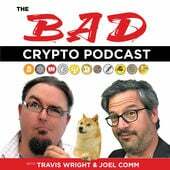 In this episode, Travis and Joel talk about Bitcoin’s ever-increasing price, just what exactly is driving the current crypto bull run, and how The Big Bang Theory introduced a whole new (and massive) audience to cryptocurrency. Takeaway: There’s still plenty of time both learn and invest in a variety of cryptocurrencies, and I highly suggest that you do. Travis Wright, Joel Comm, and my colleague Nick Quirk are all very knowledgeable and worth a Twitter follow if you’re serious about educating yourself. Blockchain has uses across the web and will certainly have an impact on how business gets done. Transactions we think are blazingly efficient today will be completely dwarfed by transfers that are finalized in four seconds. This is just one example, but it appears that the versatility of this technology is nearly boundless. Work is changing rapidly, and learning new skills or switching jobs entirely may soon be essential. 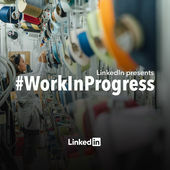 This episode of LinkedIn’s #WorkInProgress podcast features an expert on this topic: Amy Goldstein, a staff writer at The Washington Post and the author of Janesville: An American Story. In 2008, one of the oldest-operating GM plants in the country shut down, leaving the people of Janesville, Wisconsin to wonder what would come next. The entire town, regardless of political bent, decided to create programs to retrain their suddenly out-of-work workforce. You might think that this should be the greatest case study for teaching old dogs new tricks, so to speak. So far, however, the results haven’t been pretty. Takeaways: Hosts Chip Cutter and Caroline Fairchild talk with Amy about her reporting. According to Amy, there’s a fundamental divide between what she’s found and what municipal and private industry leaders are saying about retraining all season workers. One of Amy’s findings is that workers who went through retraining programs often ended up worse financially than those who didn’t. The Janesville case study is less than encouraging, considering all the new skills we may one day need to learn. One hopeful caveat is that the majority of the Janesville GM workers did not have strong computer skills. Perhaps those with basic computer/mobile skills will have a different outcome, but this is definitely something that has my attention. This podcast was formerly part of the Convince & Convert Podcast Network, but it’s one that I have unfortunately neglected of late. Shame on me for doing so because host and storyteller extraordinaire Park Howell’s podcast is incredibly useful. 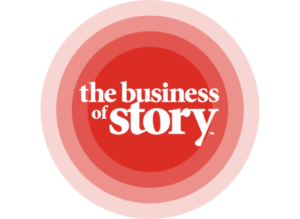 In a cluttered marketing world, expertly crafted and told stories are the ones that cut through. They resonate with us in ways that regular marketing and advertising just can’t touch. In this episode, Park goes all the way to New Zealand to bring us Cassie Roma’s excellent storytelling and branding insights for wooing customers with content that deeply resonates with our audiences. Takeaways: Romance isn’t dead, but marketing sure hasn’t given it its due, according to Cassie. I love her stance here. With all of the information we have, we’ve neglected the care our customers and clients so often seek. We know this in customer service: People just want to be heard, most of the time. 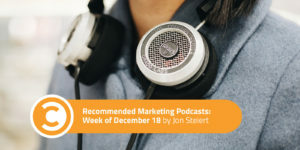 If you’re interested in creating a real, emotional connection with your customers, you absolutely have to listen to this episode.